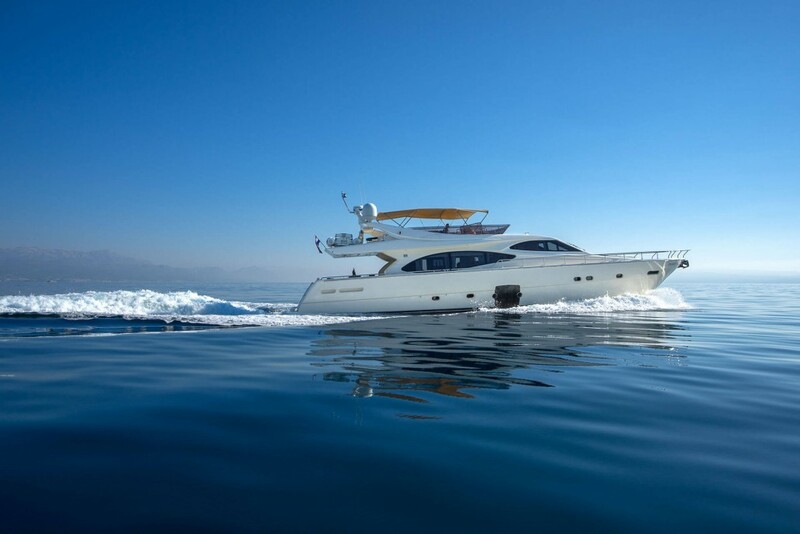 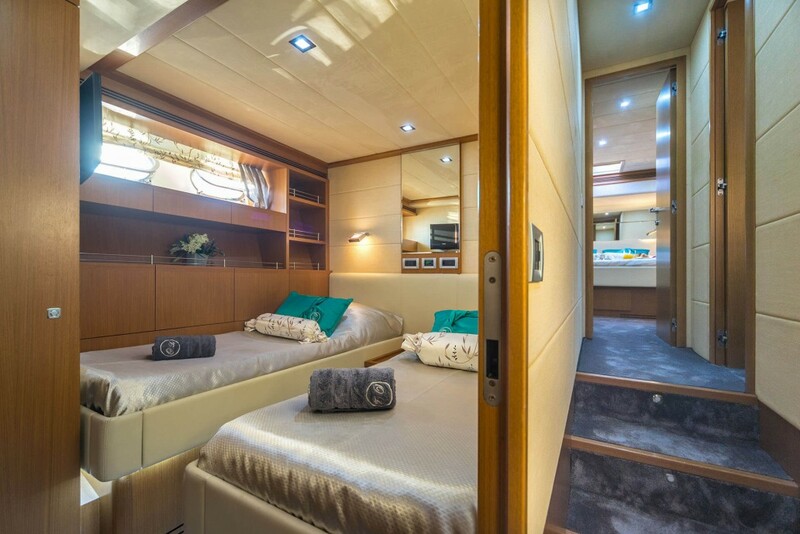 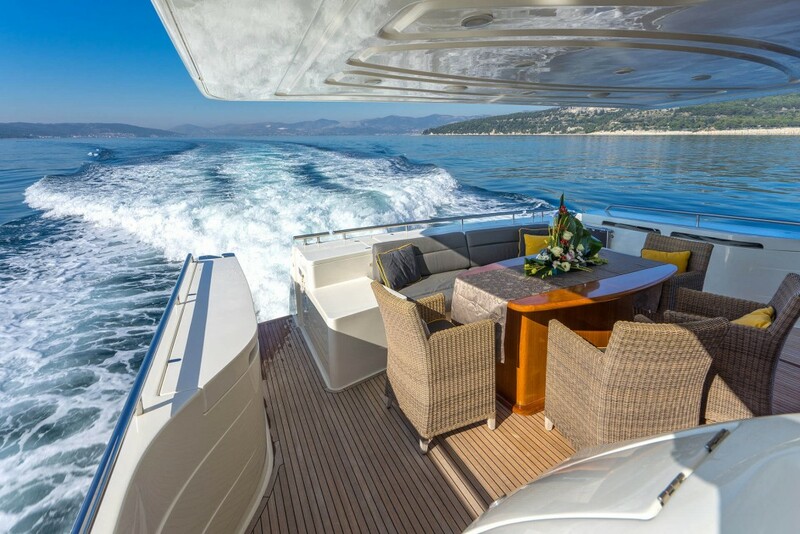 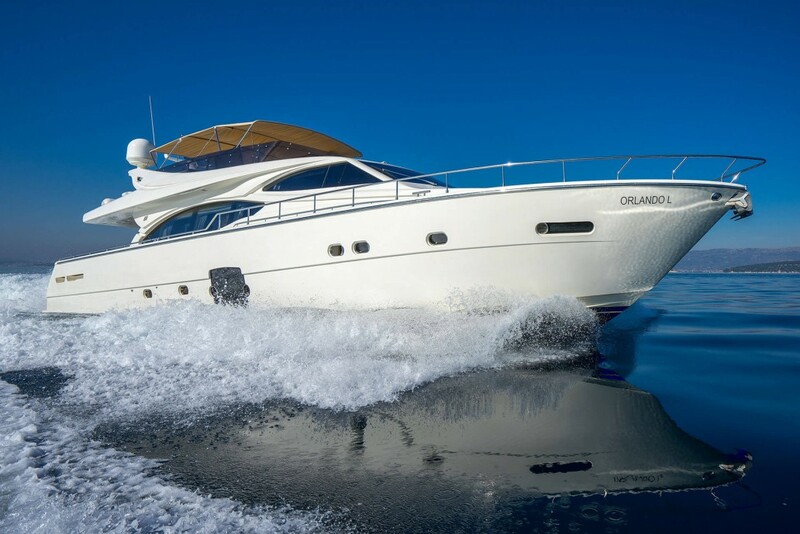 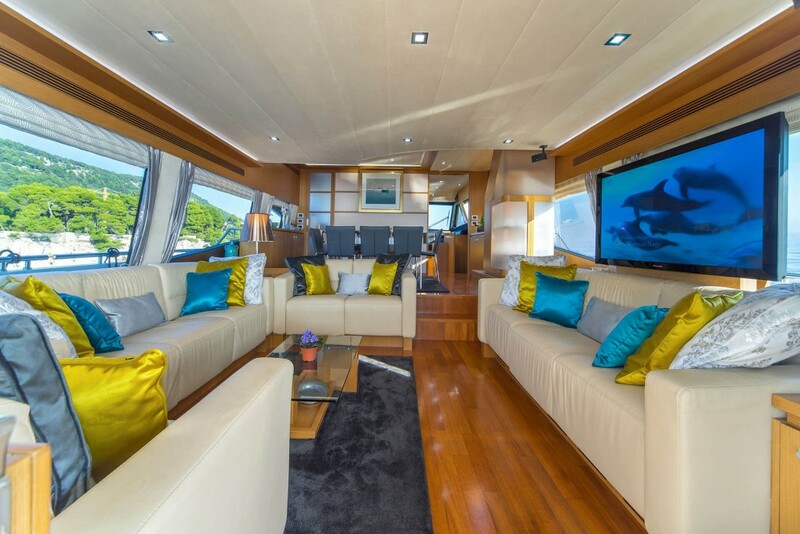 Ferretti 780, 24 meters long is characterized by a innovative internal layout that guarantees space. 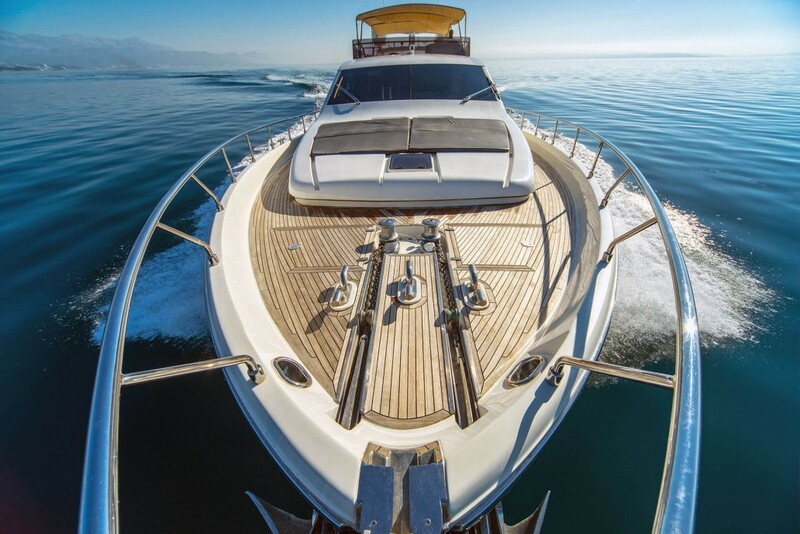 It is finished in heartwood and teak instead of the traditional cherry wood, which is typical for boats of this size. 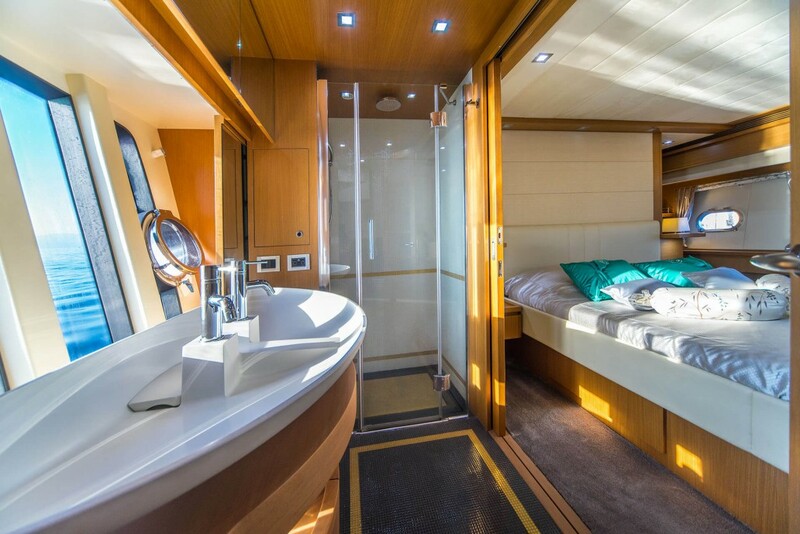 Light colored finishes highlight the spirit of the boat, while large window structures allow to live in close contact with the sea, rendering the master cabin and the bathroom area an environment of great elegance to enjoy in full contact with the sea. 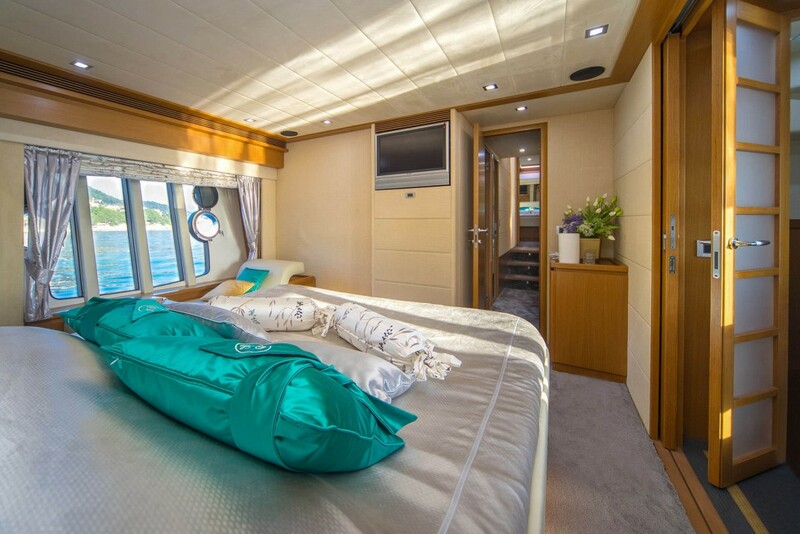  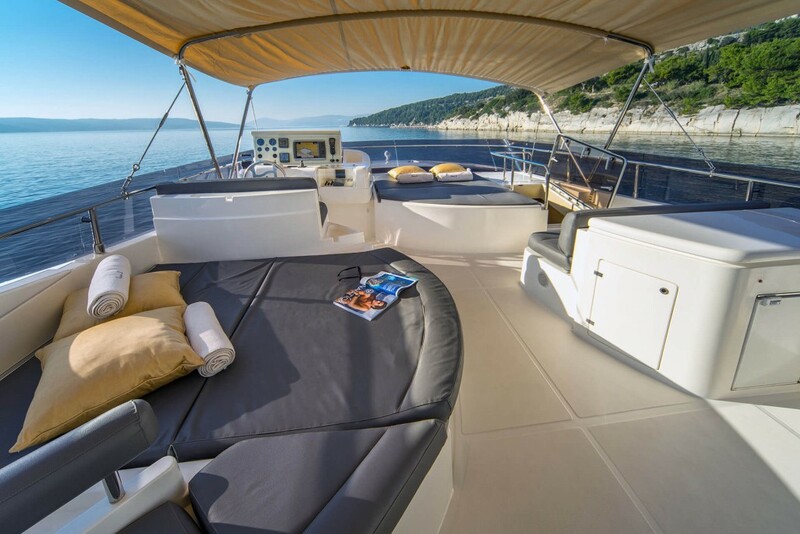 Orlando L offers 4 cabins and 4 crew members that will make your holidays in Croatia amazing. 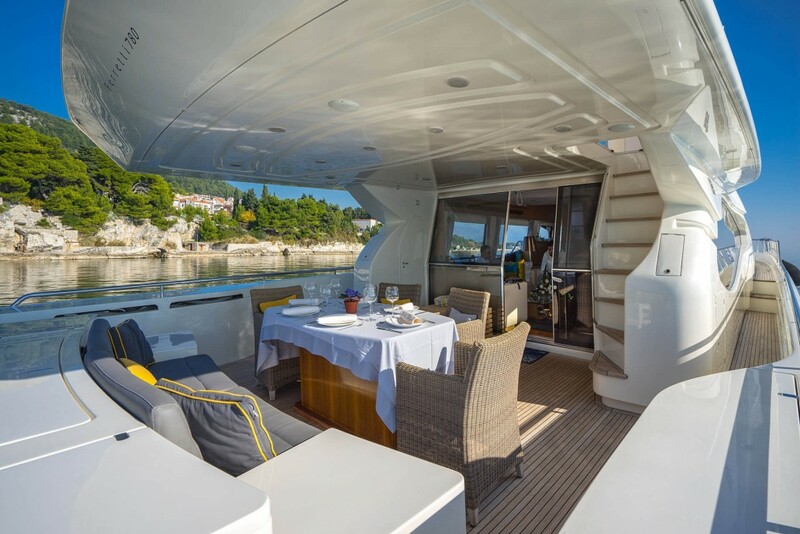 Rent this yacht for a week from Split and enjoy Croatian islands.